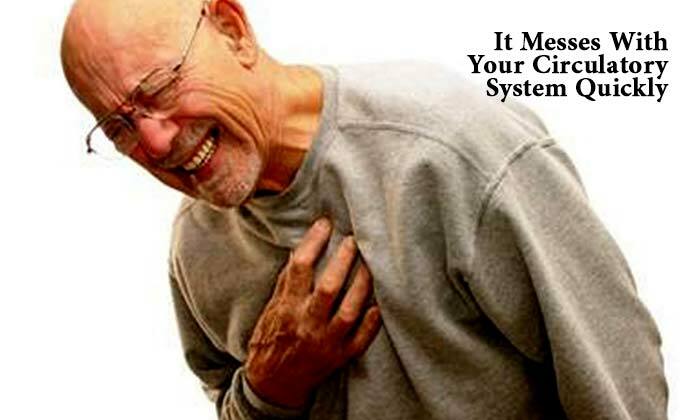 You are at:Home»Health»General Health»Drinking Too Much Water Can Cause…? ‘Drink more water’ is always your doctor’s, family’s, near and dear ones’ suggestion as soon as you are diagnosed with any kind of illness. Surely, water is the elixir of life and a lot of health enthusiasts make water sound like some magic elixir you can’t have enough of. Extreme obedience to this so called ‘health advice’ has uncovered a dark underbelly to superior hydration practices – overhydration. Yes, there is something called as ‘overhydration’. And it may even cause death. Don’t get scared. Water does it all from clearing your skin to boosting your immune system, you would be hard-pressed to find something this transparent liquid doesn’t help with. #Helpful Tip: Consume water only when you feel thirsty. Your color of pee would help to determine if you are under, optimally, or over hydrated. If you are underhydrated, your pee will be brown or dark yellow, if you are optimally hydrated, your pee would be straw colored or a light yellow tint to it. And if you are overhydrated, then your pee would be transparent. 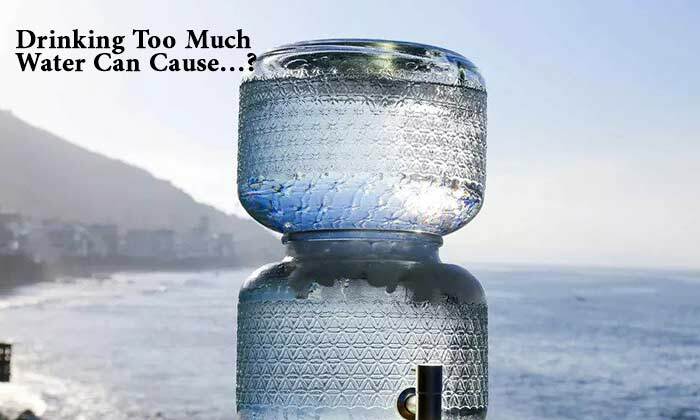 You may want to cut down your water consumption. Excess of water dilutes blood in your body causing your sodium levels to drop. Sodium is important and helps to strike balance between fluids present inside and outside of cells. When sodium levels decline because of excess water consumption, the fluids shift from the outside to the inside of cells, causing them to swell. Most of your body cells have some extra room to expand as they are embedded in flexible tissues but this doesn’t hold true for neurons. Your brain is tightly packed inside your skull and there is almost zero room to expand and swell. Because of this people experience coma, seizures, respiratory issues and even death. In English it means too much water puts too much pressure on your brain. Your kidneys work to eliminate waste from your body. Right! When you drink more water you tend to urinate more. You may assume that you are getting rid of water quicker but that’s not the case. Your kidneys can only filter only about one liter of water in an hour. Anything more than that can tire them out. Consuming too much water means getting your blood diluted and your kidneys not filtering it fast enough to maintain proper sodium balance despite working super hard. Your body expands when you drink too much water in order to accommodate the water it doesn’t need. Result- it can’t process and just like clothes that don’t fit get stretched and worn out quickly, your blood vessel too wear out because of taking on the excess fluid. 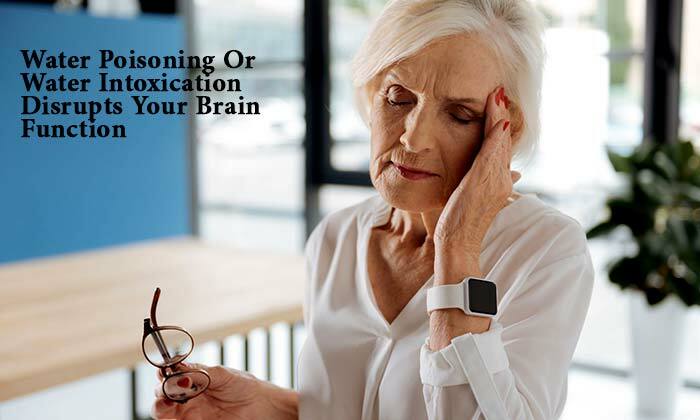 The symptoms of overhydration are similar to those of dehydration. Beware, as your kidneys aren’t as efficient as they should have been because of overhydration. 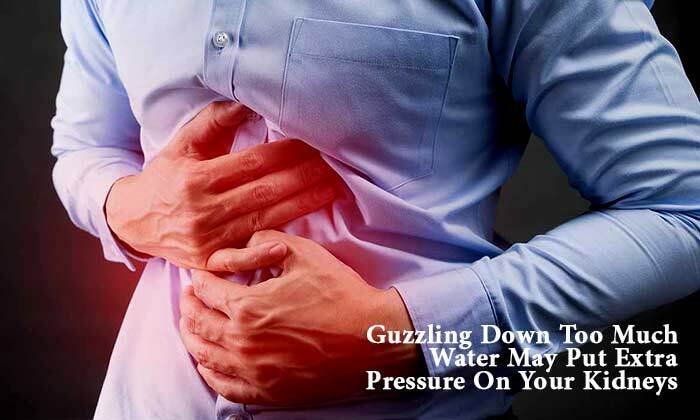 The water starts to collect in your body and you feel like puking, nauseated and experience diarrhea. Listen what your body has to say and drink water only when you feel thirsty. Don’t try to force water down your throat without any reason. Follow these tips, stay hydrated but don’t cross the line.